This quilt. I started with a great idea, but the colors of this one really started to bug me. Not sure where I went off the rails, but there is just too much in this quilt. This one sat and sat and sat. But in a weekend of getting lots done (the weekend BEFORE I got this stupid summer cold and BEFORE I forced myself to admit I needed to have my machine cleaned and oiled), I decided to power through. At first I liked making these, because I could trim down to the right size, but somewhere along the road of making, I ended up with some blocks that were 7 3/4″ square instead of 7 1/2″ square. Grrr. 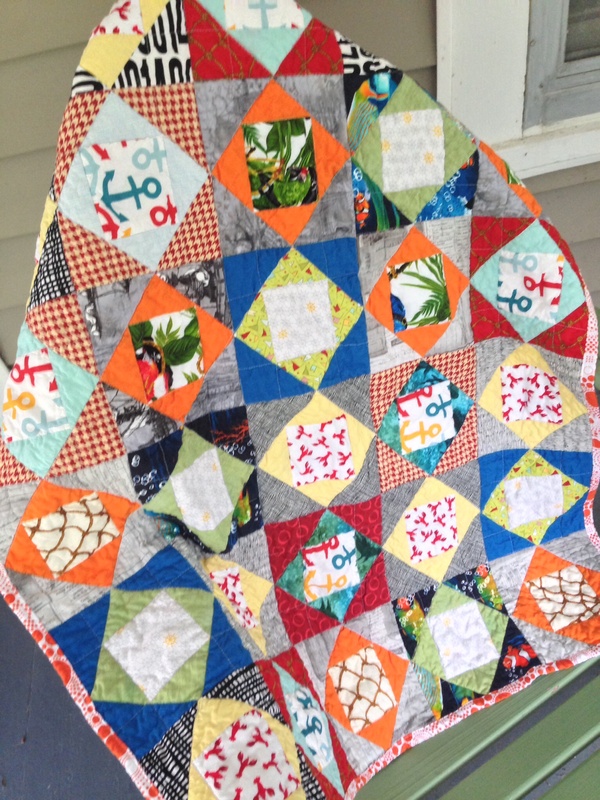 I kept working and working and eventually found things I liked about the quilt. Like this adorable backing. And how cute the binding looks with the backing. And I quilted a lot of lines on this quilt, so it got nice and crinkly and lovely when washed. This is a solid Project Linus finish. 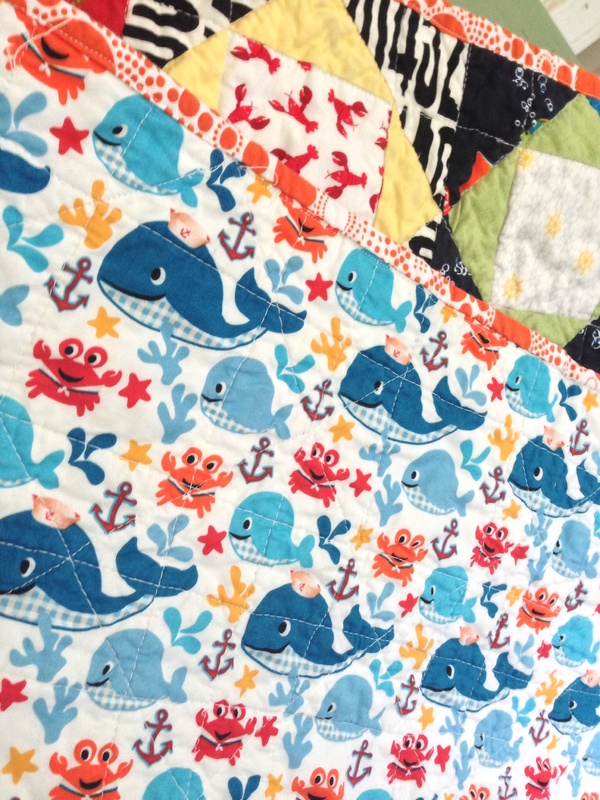 I hope it finds a home with a family who will love the nautical theme and wonky colors. Through various accidents (mostly fabrics-of-the-months clubs), I have a lot of nautical-themed fabric. Even after making this quilt. Once I get more ahead of my WIP list, I think I will make a simple square patchwork baby quilt to use them up. Next postPatchwork Kitchen Curtains – Vintage-y Goodness!